Ferrara is talking about the week-long course he’ll be teaching again at the Feather River Art Camp, June 18-25, 2017. 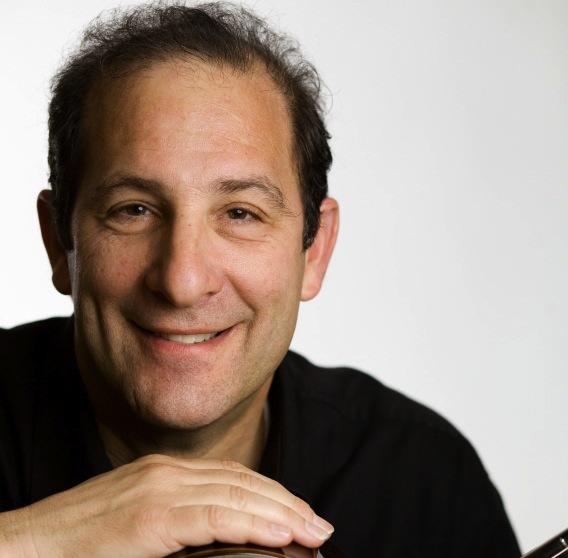 Ferrara is, in fact, a highly accomplished performer and teacher of guitar in the Bay Area, with posts on the faculty at San Francisco State and City College of San Francisco, as well as at the San Francisco Conservatory of Music. 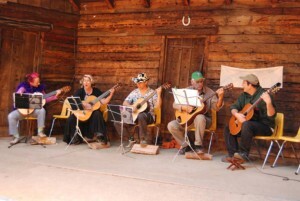 His guitar students range from beginners to respected, concert-grade professionals. Yet, unlike some masters of the guitar who might look down on the ukelele as a mere toy, Ferrara embraces the opportunity to teach it with enthusiasm. “The ukelele has a lot in common with the guitar: it’s tuned almost like a guitar, a bit higher in pitch, but it only has four strings,” he explains. “That allows more space in between, more room to fret. I can teach chords in 20 minutes.” That also allows him to teach the class an entire song in just one morning session—about as close to instant gratification any instrument might offer. The songs Ferrara chooses in the class repertoire can range from classics like “Greensleaves” and “Amazing Grace” to more modern folk music from Pete Seeger and Bob Dylan, or a blues standard or two, like “House of the Rising Sun.” There are even ukelele arrangements of the Argentine tango master, Astor Piazzola. And, of course, there’s a requisite sampling from the traditional Hawaiian. While the class is designed specifically with beginners in mind, Ferrara quickly tailors his approach to accommodate students with more experience in playing the ukelele, or those who just pick up the knack more quickly. Every level is welcome. The goal: to create a fully functional ukelele orchestra by the end of the week. 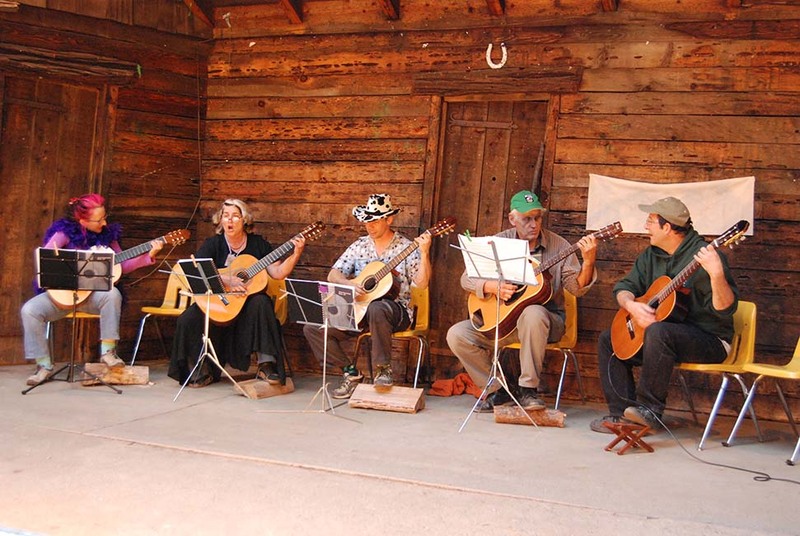 Further, in his Feather River Art Camp class, Ferrara will be working in collaboration with singing teacher Keren Gaiser to incorporate the voices of his players into the orchestra—something he feels is essential to the experience and history of the ukelele. “The ukelele is a very social instrument, much more so than the guitar,” he observes. “It’s easy to play, and it’s small, so it’s easy to travel with. And it works so well with the voice, especially in groups. ” It’s widely believed that the modern ukelele evolved from an older instrument with metal strings (today’s version has nylon) that was carried by Portuguese mariners centuries ago as they explored the globe. Not hard to imagine a group of sailors, finally on shore, relaxing around a bonfire for an evening of strumming and song. Because of the ease beginners usually have in learning the ukelele, Ferrara sees the instrument—and his class—as a potential gateway to the world of musical performance.